Today I show you a comfy look I wore a few weeks ago while visiting the local organic market to get the weekly dose of fruits and vegetables. The market is located in the beautiful St, Anne's Park where you are surrounded by huge trees, tiny brooks, lovely gardens. I've already posted a look we shot there, click HERE to check it out. Wow, those trees look so beautiful, amazing background! Great outfit, especially loving the sweater! I love the coat, very beautiful ! And you look great ! 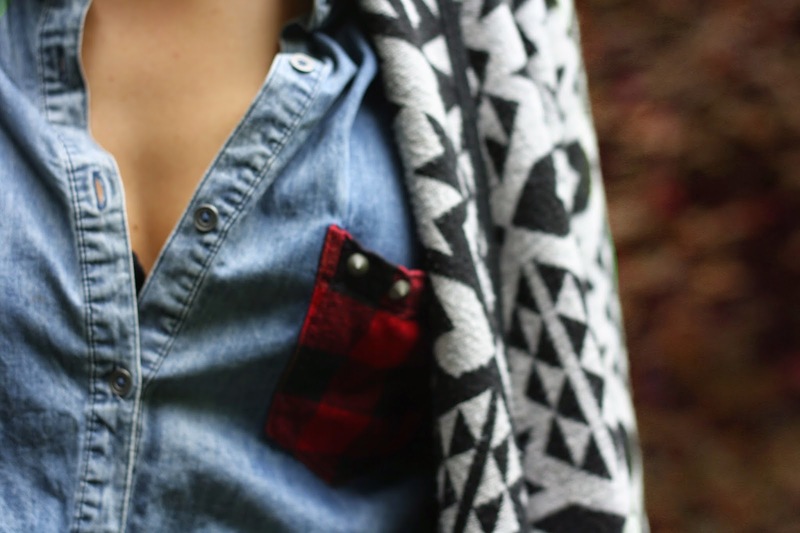 I love the printed cardigan with that denim shirt underneath! The pocket on the chambray shirt is so unique! Thanks for visiting my blog! 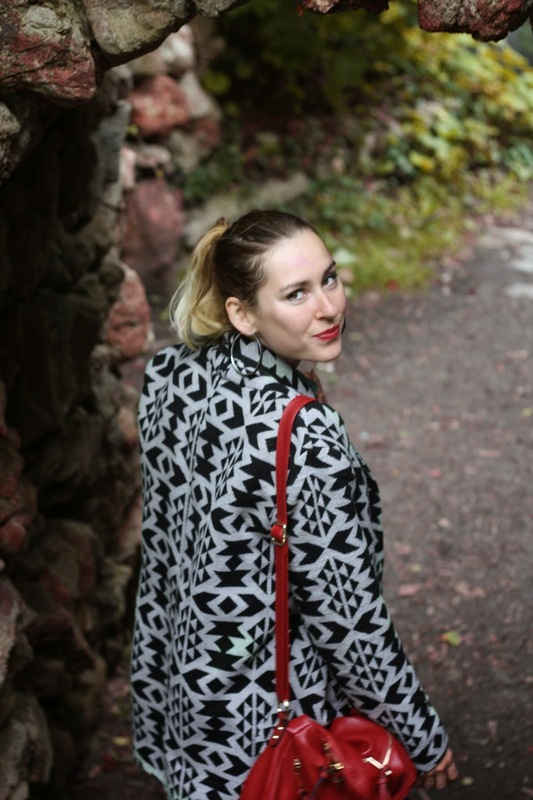 I love yours and I followed you on bloglovin so I can read more! That coat is perfect! I love the whole outfit, the bag is great! What a stunning coat! You look so cool! 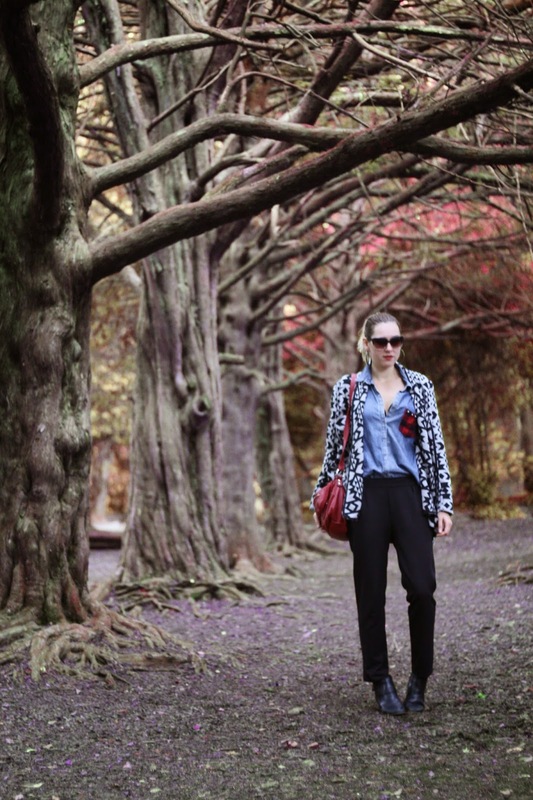 Great print on the jacket, and such a lovely location in the shoot!!! that coat is so rad!! awesome! Nice denim shirt.Love how you styled this look. Amazing pictures. That background looks so stunning! That coat is a nice print! That is such a cool jacket, I love the print too.